Last week we kicked off SS17 with thoughts about building a wardrobe which works with the life we have as opposed to the one we see in magazines in blogs. It’s been a turnaround year for me planning wise, but one which has ultimately helped me greatly. That actually, if I plan for the life I actually lead and intend to lead then perhaps I won’t spend hours just staring at my clothes but actually wearing them! If we rewind back to my original capsule year I really worked on building my dream wardrobe and not just any dream wardrobe but one that would actually work with my lifestyle. While we bought a house, planned and executed a wedding however, I forgot the fundamentals of this practice, to plan, to develop and to keep my life in mind. With that out of the way what does this lifestyle dictate? Well several things, I don’t need loads of pairs of heels, black tie clothing or anything over the top fancy. I do however note that I am looking for more timeless pieces, by fall this year I’m going to be 27 which is putting quite a few things in perspective (more on that in another post). For fashion I want to continue focusing on buying less but more quality items and on being realistic and considered with my money. Quite frankly what I need to do is plan! Lets start with the easy stuff, The Gym. Myself and Josh aim to go (every other week at the moment we seem to get ill but hopefully by summer we won’t get so interrupted!) every other day (roughly) So that is either four or three times a week. 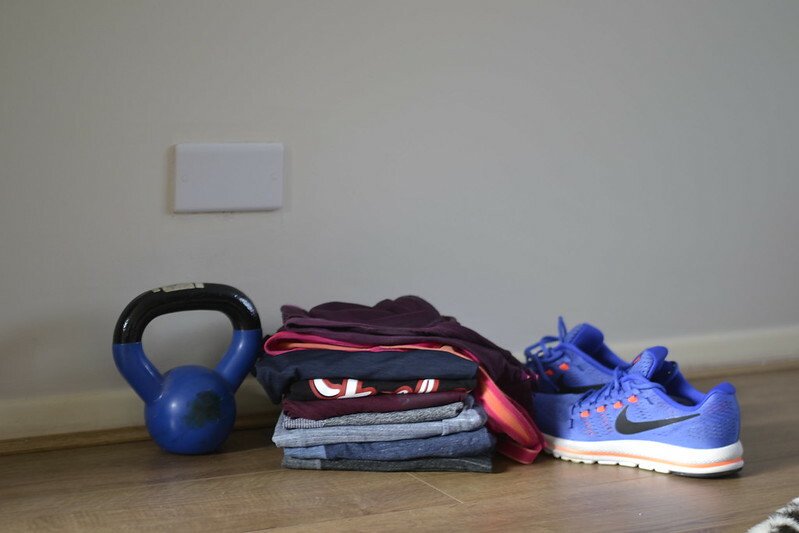 I have read a lot about how when you start you have clean work out gear each day but how often that can fall to the wayside, however saying that, lets pretend I wear something clean everytime this is what I need. Four pairs of bottoms & four tops and one pair of trainers, that’s it. Nine pieces!